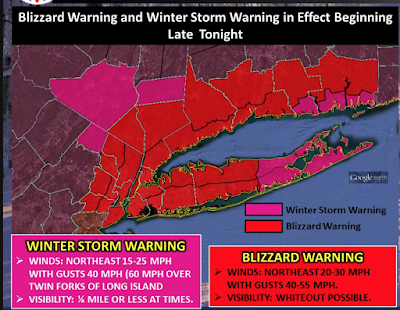 This shows the blizzard warning in effect from the NWS for the NYC Tri-State area. 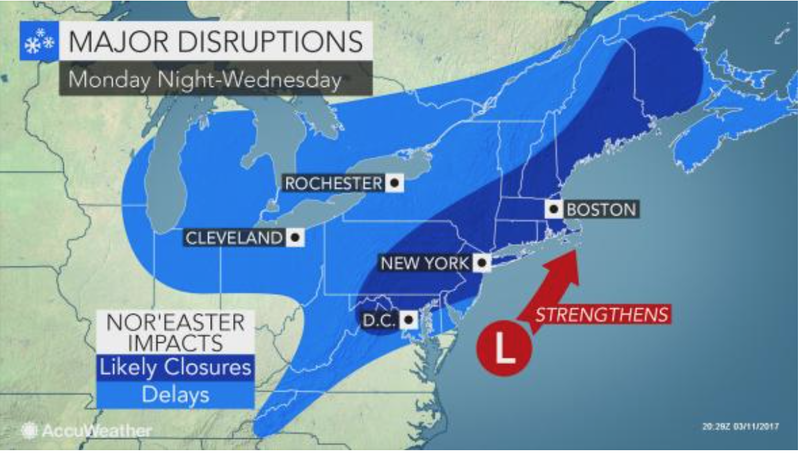 AccuWeather is forecasting blizzard conditions through the region indicated below. 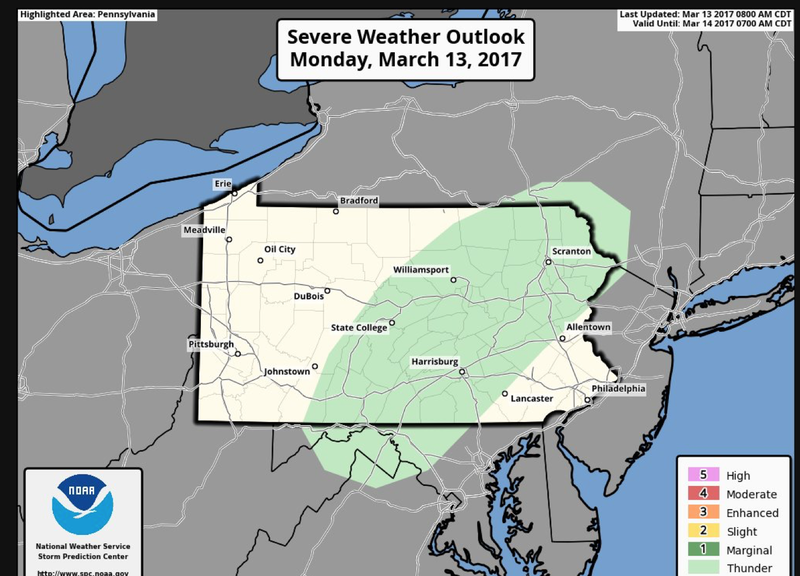 And, thundersnow is expected tonight over parts of Pennsylvania and adjacent areas. So, finish your preparations today. 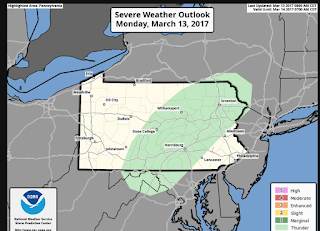 The heavy snow will begin this evening at the southern end of the forecast and then move rapidly north. 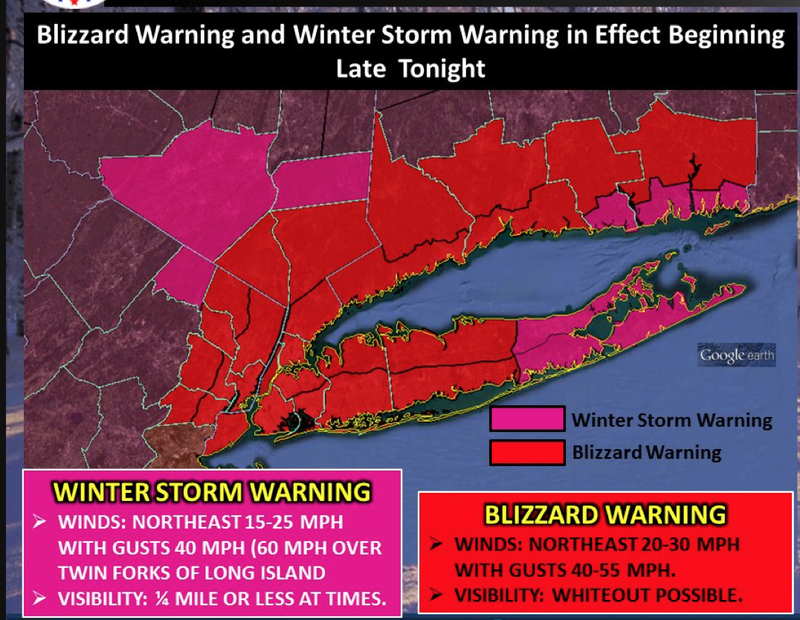 A month ago, I heard the loudest and longest thundersnow I've ever heard. Hope I hear some tonight, even if it wakes me up because it really is pretty cool.